The transition from ICD-9 codes to ICD-10 codes presents a huge challenge for medical billers and physicians’ revenues. The staggering number of additional codes makes the learning process complex. Moreover, the scope for error increases which is intensified by a harder denial management process. Insurers have an opportunity to target the bigger volume of ICD-10 codes for finding mistakes to delay payment. The basic difference between ICD-9 codes and ICD-10 codes is their compactness; even when carrying extensive information about the case. This aids to identify the correct rules to be applied regarding reimbursement and insurance policies. Quantitatively, there are more ICD-10 codes compared to ICD-9. With the use of ICD-10 codes, the total number of codes expands from about 14,000 to 68,000 codes. The codes will be alpha-numeric, expand in length to 3-7 characters and will offer much more specific descriptions. This means that the new codes are more descriptive and specific. However, denial management would face problems due to the increased scope of errors by insurance companies due to the new codes. The new ICD-10-CM codes will be more specific, more flexible and allow for improved measures of healthcare services. The new codes acknowledge the advances in medicine and medical terminology with more precise coding options. Claims and reimbursements may be delayed or rejected due to several reasons by insurers because of differences in the code and learning curve during the transition. Physician practices will be wise to include ICD-10 in their payer agreement negotiation discussions to decrease their risks concerning compliance errors and claims denials. The learning curve is probably the steepest for providers. Those providers who have practiced medicine for any period of time will now find a more in depth, lengthy and tedious documentation and coding process. Because CMS has previously delayed implementation of ICD-10, some providers tend to believe that it will be delayed again and are not taking the October 1, 2014 implementation date seriously. Providers should be prepared for significant claims and cash flows delays during the first six months of the implementation period. A task force should be in place to map out the entire ICD-10 implementation process and what that means for each providers particular office, EHR, billing system, clearinghouse, payers, etc. Be proactive, not reactive. If your practice does not have the resources, a medical coding services company can help. Applied Medical Systems has been caring for the health of practices for more than 30 years by providing billing, coding and practice management solutions to various healthcare specialties across the U.S.; including hospitals, private practices and emergency department physician groups. AMS isn’t your typical medical billing and coding company. We offer unique practice solutions, like human resources expertise, to help your business run as smoothly as possible. We know the ins and outs of ICD-10. Let us help you set up your practice for success, while preparing you and your staff for the transition. 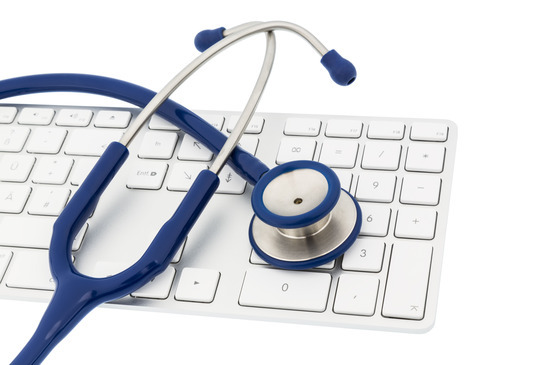 ← Are you compromising integrity on your EMRs?